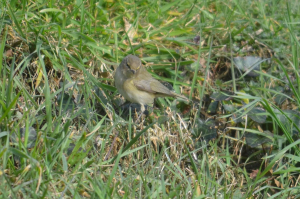 Observation - Chiffchaff - UK and Ireland. Description: Several of these have just appeared in our garden today. Eating insects voraciously. Guess that they have just arrived. WE are only half a mile from the south coast. Several of these have just appeared in our garden today. Eating insects voraciously. Guess that they have just arrived. WE are only half a mile from the south coast.